North American Premiere at Toronto International Film Festival (TIFF), Category: Contemporary World Cinema. 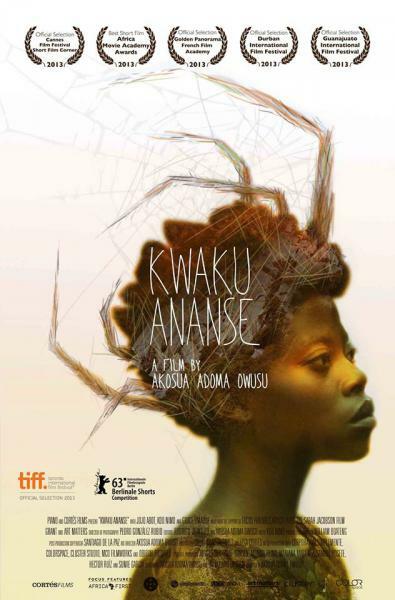 Kwaku Ananse is a semi-autobiographical story about a Ghanaian-American girl who travels to Ghana for her father's funeral. In traditional Ashanti fables, Ananse is a trickster hero - part man, and part spider - who spreads wisdom throughout the world, without that being his intention. Why and how did you decide to adapt "Kwaku Ananse" in cinema? Kwaku Ananse is the folklore hero of the Black diaspora. These fables traveled from West Africa to the new world, through the slave trade and were preserved by peoples of African descent in Suriname, Caribbean cultures and Black American cultures. With my film, I was interested in adapting one of these fables, no longer popular in Ghanaian culture, and bring it back into the consciousness of local Ghanaians. While doing research, I looked to Efua Sutherland's play, The Marriage of Anansewaa, as a source of inspiration on translating old material into new language. I also cast key people associated with traditional Ghanaian culture like palm wine musician, Koo Nimo and veteran actress, Grace Omaboe. 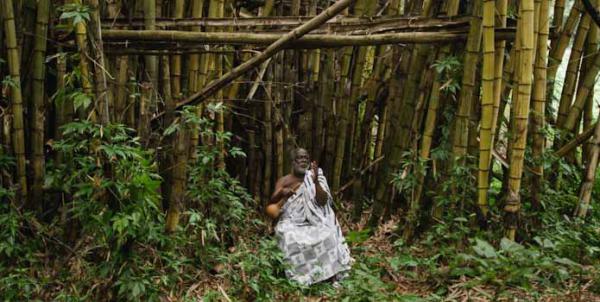 The particular story that interested me was about Ananse believing that he is the wisest man on earth and wants no one else to possess wisdom, except for him. So, he traps all of the wisdom in the world within a pot and tries to hide it at the top of the tallest tree on earth. The story's moral is that no one should think that they are wiser than everyone, as they are ultimately foolish for doing so. The ambivalence in relationships is shown in many ways in the movie (life and dead, stepmom and daughter, city and village, etc.) How are the main characters facing it? Ananse teaches us that there are two sides to everything and everyone. 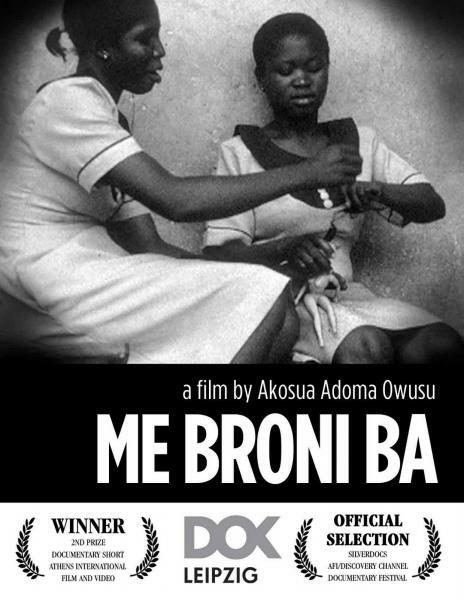 Generally speaking, my film is told through the perspective of a Ghanaian-American girl - a girl of the diaspora. 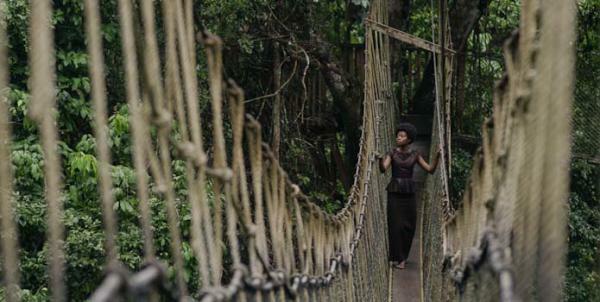 The girl arrives in Ghana, struggling with this fact, as she knows that her estranged father lived a double life. 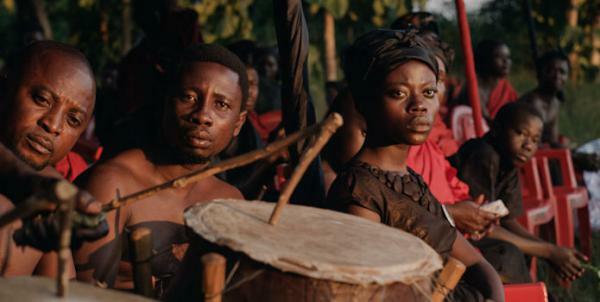 When she goes to his funeral in Ghana, she is forced to face the reality of who her father was. 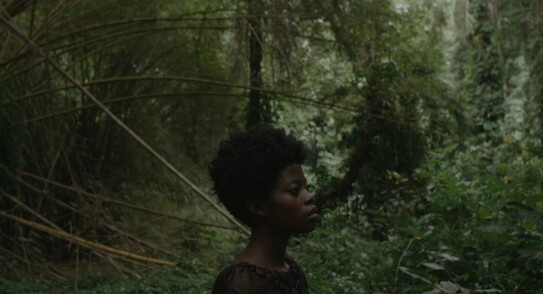 Instead of choosing to embrace her half-brother, Ntikuma, and her stepmother, she makes an ambivalent choice: She goes into the forest in search of her father's spirit to confront him. After having looking after her father, Nyan will finally find him in the forest. Can you explain the confrontation between father and daughter? She meets her father, confronts him, and has to decide whether to forgive him or not. The confrontation is about forgiveness, and children challenging adults - which isn't encouraged in Ghanaian culture. Forgiveness is a major theme in the film. Ultimately, Nyan's relationship with her father influences her greatly and shapes who she is, where she ends up, and why she must go to the forest to find him. The return of Nyan to Ghana for her father burial, it's something that many African of the diaspora can experiment, as they returning home to bury their loved ones. What about yourself, as a Ghanaian born and raised aboard? Funerals are a big aspect of everyday Ghanaian culture, more so than weddings even. And, my previous work has carried similar themes and Me Broni Ba (My White Baby), in particular, was the story of my older sister's journey to America with my dad. So, with Kwaku Ananse, I wanted to continue these depictions of my real life, and my family, and carry them into a fiction film. The funeral scene in the film is a re-staging of my father's funeral using family members on my father's side and my mother's side as actors. Despite being born and raised in the US, I took trips to Ghana as a child. I'm the only child in my family who was born in the United States, which is why I my films explore multiple selves or identities. Kwaku Ananse was a tribute to my late father and his love for Ghana and Ananse stories - all of which he instilled in me as a child. Unfortunately, before he passed away, I had built up a lot of anger towards him and never really said goodbye, nor was I able to express appreciation for the wisdom he passed onto me. In dedicating this film to him, and in telling some of our story, I was able to do both. 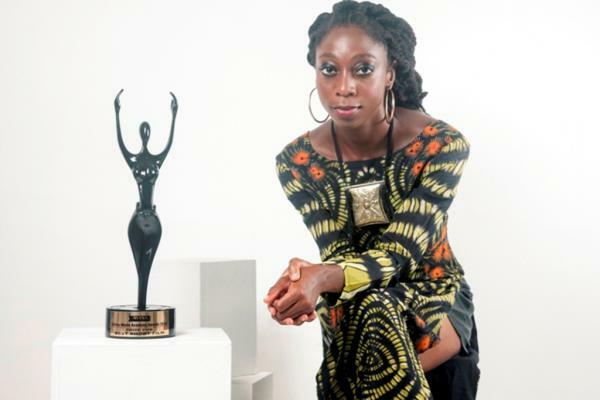 You recently won the African Movie Academy Award for short film this year, how do you feel about that? 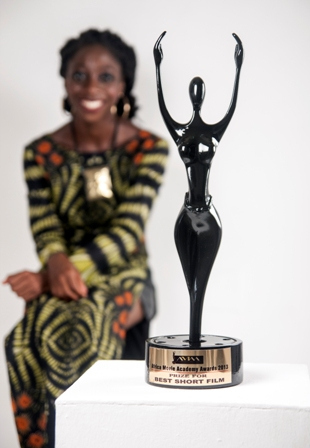 Winning the AMAA award for Best Short Film this year was an incredibly humbling experience for me for so many reasons. Eight films competed in the category, so the competition was intense. I was there representing Ghana, though not many Ghanaian know my work. I've been making experimental films in Ghana for many years now, mostly showing at film festivals, galleries and museums. 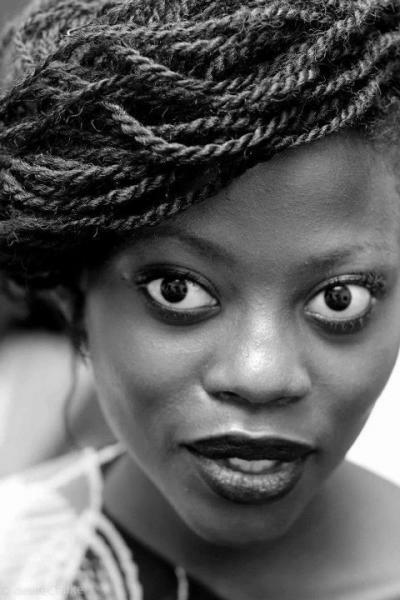 The award has given me a chance to find a place in the local Ghanaian art scene, which living in and working in Virgina prevented me from doing. 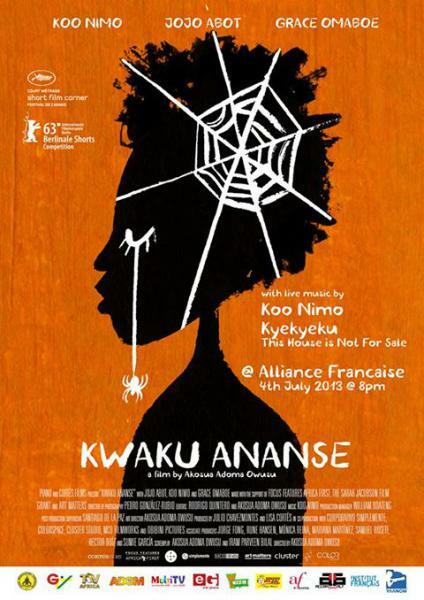 Also, Kwaku Ananse is a co-production between Ghana, the U.S. and Mexico, so this was really an international effort. I was so lost for words when they announced the winning film. I could feel my heart racing right through my chest, remembering all the challenges my cast and crew faced while making Kwaku Ananse. So, the AMAA Award meant something to three countries, and that was such an achievement for all of us and our hard work. with the support of the Toronto International Film Festival (TIFF). Article updated on July 20th, 2015. 2ème édition. "An East African international film festival that will become a platform to celebrate and promote Cinema from the entire continent."